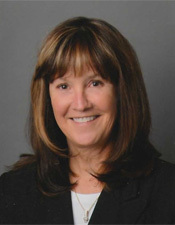 Dr. Jane Cummings attended the University of Kansas prior to attending the U.M.K.C. School of Dentistry. After receiving her D.D.S. (Doctor of Dental Surgery), she completed the two-year specialty program in periodontics. Dr. Cummings enjoys all aspects of Periodontics but has special interests in implants and gingival tissue recontouring for esthetics. Dr. Cummings holds memberships in the American Dental Association, the Kansas Dental Association and the American Academy of Periodontology. Outside of dentistry, Dr. Cummings enjoys running, gardening, home remodeling and spends a lot of time with her children.